Now that the sukkah is up, except for decorations, I’m feeling almost mellow, unlike other years when work was getting in the way of holiday preparations. I guess the rabbis who set the Torah readings were also relaxing a bit, since they decided on the same readings for both first and second days, Leviticus 22:26-23:44 (it’s also read on the second day of Passover) and, from the second scroll, Numbers 29:12-16 (obligatory sacrifice verses). The first scroll reading is mainly about observing the “fixed times”, i.e., Sabbath and holidays. The verses pertaining to Sukkot are 23:33-43. The haftarot differ, though, Zechariah 14:1 – 21 on the first day (happy Bar Mitzvah anniversary, Alan), an end-of-days type vision in which the Lord wages war against the nations that defeated Israel; and on the second, I Kings 8:2-21, about the dedication of Solomon’s temple. Both haftarot contain references to Sukkot. I am happy to say that set up went almost without a hitch (I inadvertently put the canvas screen in front of the back two uprights instead of in back, but it is otherwise securely fastened) despite the mild warpage of two pipes that we noticed last year (how can steel pipes warp?). And I almost escaped without a splinter; steel poles do not produce splinters, but one of the bamboo poles did. WASHINGTON — US authorities released travel guidelines for Succot ahead of the Jewish holiday. “TSA’s screening procedures do not prohibit the carrying of the four plants used during Succot – a palm branch, myrtle twigs, willow twigs, and a citron – in airports, through or security checkpoints, or on airplanes,” the Transportation Security Administration said in a statement, noting the dates of this year’s Succot holiday, from Sept. 18-25. In a separate statement, US Customs and Border Protection also noted that the four species were allowed entry, but noted a number of restrictions subject to inspection. As many Israelis spend the days before the Sukkot festival browsing outdoor markets for the Four Species, Israeli customs authorities find themselves battling smugglers trying to sneak citrons into the country. Over the past two weeks alone, four passengers have been caught in three separate incidents, trying to smuggle about 400 citrons, or etrogs, into the country without paying customs tariffs, the ultra-Orthodox website KikarHashabbat reported. 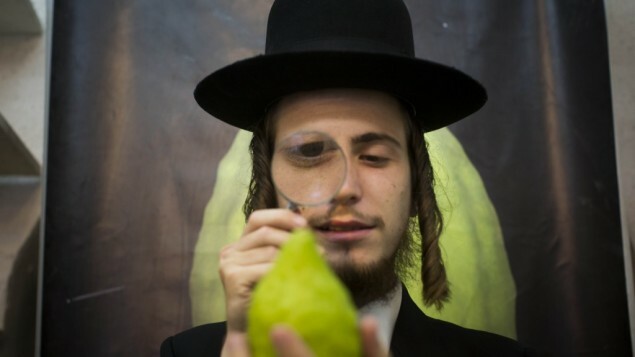 The etrog, one of the Four Species, is the Hebrew name for the yellow or green citron fruit taken with the palm frond, myrtle bough, and willow branch on Sukkot. The fruit can run anywhere in price from $5 to hundreds of dollars. One of the suspects is a yeshiva administrator in Beitar Illit. The man was caught with a suitcase packed with 125 etrogs and nothing else. During his interrogation, the administrator told customs officials that he had traveled to the Tunisian island of Djerba to buy the fruits, as his community only uses etrogs from the island. He also revealed he was traveling with a companion who had managed to sneak through customs. The second man was soon located and apprehended as well. Customs tariffs for importing etrogs are assessed at 2.7 shekels per kilogram, plus 18% value-added tax. Importers also require permits from the ministries of health and agriculture. In addition, a French Jew with some 150 etrogs was caught. The man claimed he was simply trying to perform a holiday mitzvah and distribute them to Jews in Israel. An Israeli man was also nabbed with some 125 etrogs. The Sukkot festival, or Feast of Tabernacles, starts Wednesday evening, September 18, and runs until sundown on Wednesday, September 25. Levy built a sukkah on the roof of his apartment building several days before the eight-day holiday of Sukkot began. After the holiday began, the landlord noticed it and demanded that it be removed immediately, claiming it was a violation of the terms of the building lease. Levy refused, telling the landlord that since this was a religious observance, he had the right to build the sukkah there. The landlord disagreed and took the case to court. 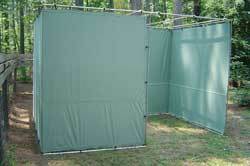 In court, the landlord argued that the sukkah was unsightly, against the terms of the lease, and was a fire hazard. Levy argued that his religious rights would be ignored. The judge, who happened to be Jewish, listened patiently and then offered his verdict. This entry was posted in Uncategorized and tagged Ecclesiastes, etrog, Jewish holidays, Kohelet, lulav, sacrifices, sukkah, Sukkot. Bookmark the permalink.